cold constitution, rheumatism and neuralgia. Take the Tokushima Bus 57 or 58 at the route bus terminal in JR Tokushima Sta. (approx. 60 mins). 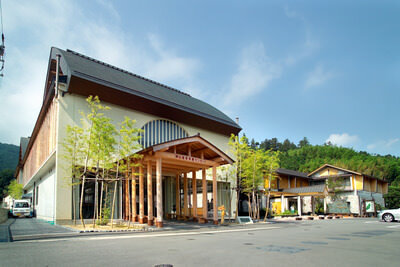 Get off at the bus stop "Kamiyama Onsen-mae" then walk for 3 mins. *Look for the route bus terminal number in JR Tokushima Sta. on the map of JR Tokushima Sta. A boutique city with a homely atmosphere located close to Tokushima Station.